*Restrictions and fees apply. Due to this show being a rental, no discounts will be applicable. This entry was posted in and tagged rental on February 26, 2019 by RaueCenteradmin. 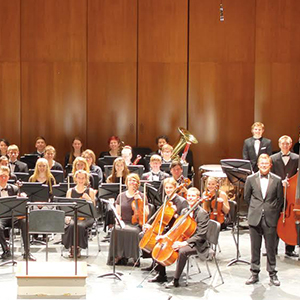 Join MCYO for the holidays at the annual “Cool Yule” concert. MCYO returns to the Raue for an evening of magical holiday classics and sing-a-long! *This performance is a community rental. Fees may apply. Student & Senior tickets may be purchased through Raue Box Office only 815.356.9212. Students must be 18 or younger. This entry was posted in and tagged rental, youth on December 8, 2018 by RaueCenteradmin.